Let the same mind be in you that was in Christ Jesus, who, though he was in the form of God, did not regard equality with God as something to be exploited, but emptied himself, taking the form of a slave, being born in human likeness. And being found in human form, he humbled himself and became obedient to the point of death- even death on a cross. 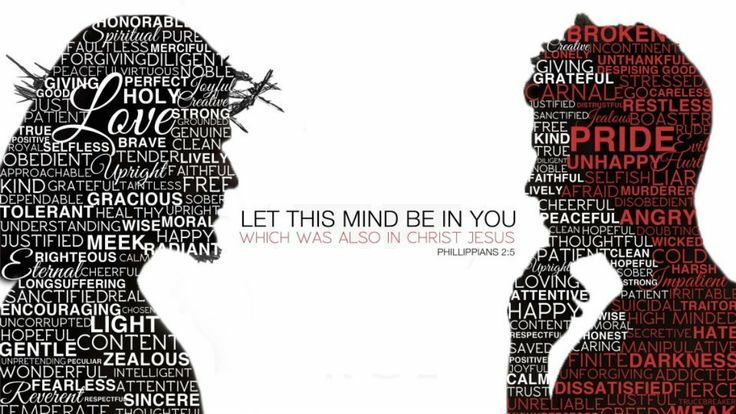 The mind of Christ is to love God and love people. It's what Marcus Borg calls the Jesus imperative or the two great relationships. You can think of it like two ends of a stick. Jesus is saying that if you pick up one end of the stick you must pick up the other-loving God means loving people. Loving people also means loving God. The bottom line: we are created in God's image and we should reflect that image in everything we say and do. I want to blog today about questions that almost all of you ask. I see them in your minds and I hear them in your prayers and I watch as you search in hundreds of ways for the answers. "What am I here for?" "What is my purpose in life?" "Who am I?" It's good to ask those questions. There are actually a few good answers that relate to all of you. If you've read My Book, you know that you guys . . . all of you . . . were created in My image. Okay . . . that's hard to figure out if you realize that I AM not physical. I AM bigger than the universe. I'M everywhere at once, and I know, see, and hear everything. None of you are like that at all. So let Me give you a hint about what that "image" phrase really suggests. Image is . . . a representation, a reflection, an illustration, a likeness. I'll go with representation and reflection on this one. I created you to "represent" Me to one another. To be a reflection of Me. I have more attributes than you can name, but let's start with . . . Words that describe part of Me. The Part you can reflect. You . . . a reflection of your Maker. If it's happening, you're feeling okay today. Fulfilled. You're not asking the questions. If it's not, you may not be feeling so well. And you're probably asking the questions. It may be time to dust off the mirror. So what are you standing near and what are you reflecting? Think about it! 1Lanny Donoho, God's Blog's: Insights from HIS Sight (Sisters, OR: Multnomah Publishers, Inc., 2005), Chapter 16.